The Oyster Inn is a restaurant, bar, private room, beach shop, take-away and small luxury boutique hotel rolled into one. Located in the heart of Oneroa Village, the Oyster Inn is just 40 minutes from downtown Auckland. At the Oyster Inn's restaurant we serve honest, simple dishes made with the very best local produce. Our chef Cristian Hossack (formerly head chef at London's Providores) and his experienced team are obsessed with the provenance of everything we serve - so it's ideal that we're located on Waiheke Island, which provides us with bountiful supplies of almost everything we need. Local fishing boats catch our fish. Our raw bar is stocked with the island's delectable Te Matuku oysters (as well as others from the region), and our vegetables are grown especially for us by local gardeners. 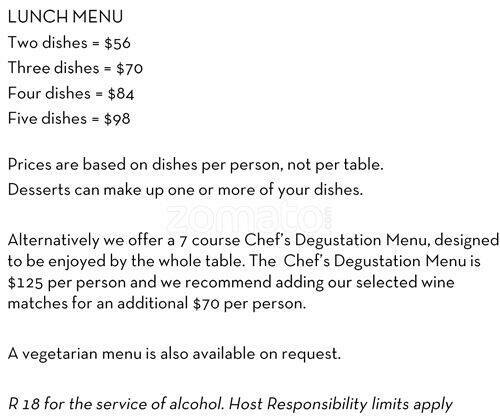 The maximum table reservation is 8 a la carte. The Oyster Inn's private dining space, The Pearl Room, is the perfect place for your special occasion, accommodating 32/50 (seated/standing), with grandstand views of Oneroa Bay and the Coromandel. The Shed at Te Motu Vineyard has a beautiful outlook across vine-covered hills. Successfully nominated in the Metro/Audi Top 50 Restaurant list for 2012. 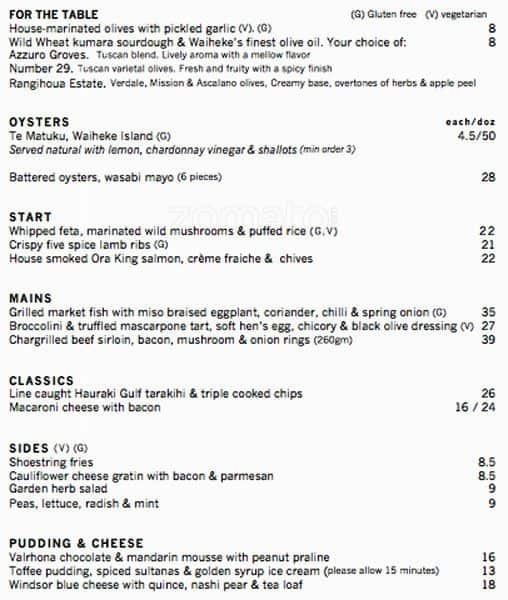 Opening hours change seasonally at Te Motu Vineyard Resturant, and are subject to change without notice. Peter Gordon's The Sugar Club brings some fabulous history along with it, as The Sugar Club was an iconic establishment in Wellington during the 80s, plus a spectacularly popular spot in London's iconic suburbs Soho & Notting Hill during the nineties. The Sugar Club offers stunning views of Auckland from the cocktail bar and effortlessly chic and elegant restaurant. 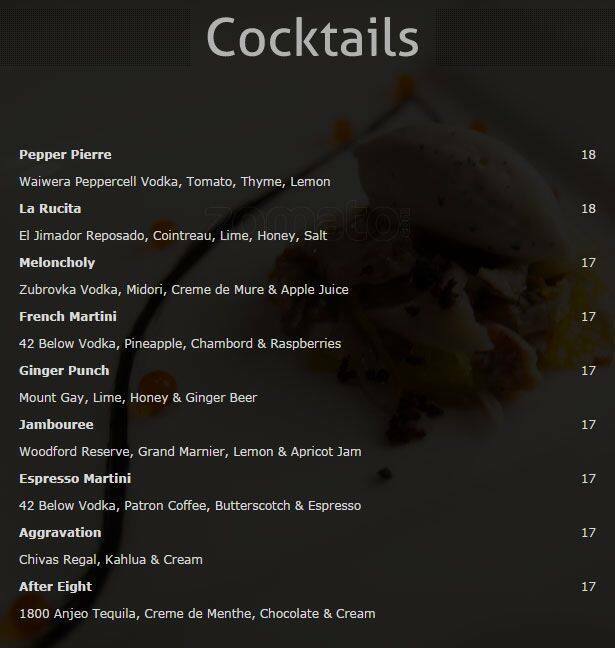 The Sugar Club is a Peter Gordon signature restaurant that provides one of Auckland's most memorable dining experiences. 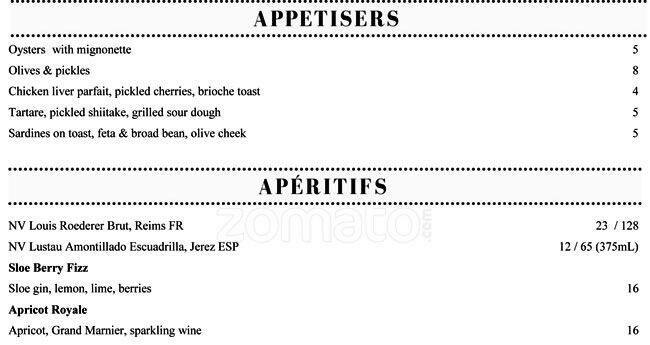 The menu is a selection of small plates, where you choose how many courses you'd like - rather like a mini degustation. It is recommended you select three or four small plates together with a delicious dessert to finish your meal. 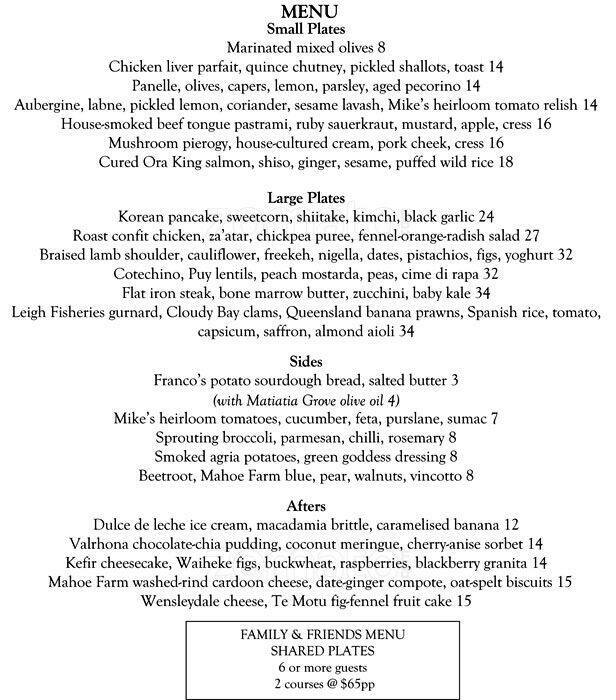 Vinnies by Geoff Scott is an acclaimed fine dining restaurant situated in Herne Bay only five minutes from Auckland's CBD. It offers an experience second to none. Geoff and his friendly professional team go the extra mile to create an unforgettable dining experience at Vinnies Restaurant. Offering only the finest quality New Zealand produce cooked to perfection, Geoff's cuisine is intellectually interesting, visually stimulating, playful, and incredibly delicious. The seven course uniquely New Zealand tasting menu is not to be missed. Real definition of a Kiwi: Eats, roots, shoots, and leaves. Official supporter of the ABs. Thanks for the recommendations. Will give them a go and let you know whether I agree with you. Ref Selera what dishes do you recommend as none of the Malaysian places I know do all dishes well. Each of them have their gems and their duds. 1. Curry is very good and easily the most popular dish, more suited to the Chinese (as opposed to Malay or Indian) palate. It is a lunch time favourite for most people and often you won't be able to get a seat. 2. Curry chicken is very good too but this may not suit some people. 3. Beef rendang is not bad either. You can order that to go with your nasi lemak. 4. Kon Lor mee with wonton. The dry noodles are more reminiscent of Malaysian KL or Ipoh dish. 5. I specially like her version of squid with kangkong (a Ipoh specialty) but I'm not sure if this is still on the menu. 6. Ice kacang is good! 7. Hainanese chicken rice is very much a hit and miss affair. Sometimes the chicken is overcooked (in the microwave) and the meat becoemrs rubbery. Some days it is spot-on, so it is the luck of the draw. Of course, this dish cannot be compared with what is available in Spore lor. 8. Lobak is not bad. 9. My favourite is probably the curry fish head noodle soup leh.. shiok. Have you tried the Rendang at Blossom Court - Panmure? No, not yet. I know the owner KC, who used to work at Sri Puteri just up the road. I don't go there much because I think the dishes have gone downhill liao. Tried it last week and I thought the chicken rendang was excellent. I'll give Selera a try. I don't go to Newmarket very often because of parking and the motorway traffic. Yes, parking in Newmarket is a pain. I normally park near the Domain and walk over. If you are really quick, you can park at the Warehouse carpark. I think the first half hour or hour(?) is free unless you bought something there, then it is all free up to 2 hours(?). Selera's flavour is more concentrated, like the ulu kampong or village style so it may not appeal to the city slickers like yourself. The wonton soup is the nearest to what you get in Msia/Sg. Another place I should mention is Full Yao in Sommerville, near Howick. I like his sambal petai with anchovies and prawn. His curry stingray is also not bad. The rest are pretty average. I bought a chicken curry takeaway (takeout) from Santhiya in Mt Roskill this afternoon and it is really good. This is a South Indian Malaysian restaurant, well known for its Sunday all-you-can-eat curry on banana leaf. The chicken curry I bought is really good; very authentic Indian-Malaysian. I'm going back there again tonight to try their vegetable curry, fish curry, and chapati.